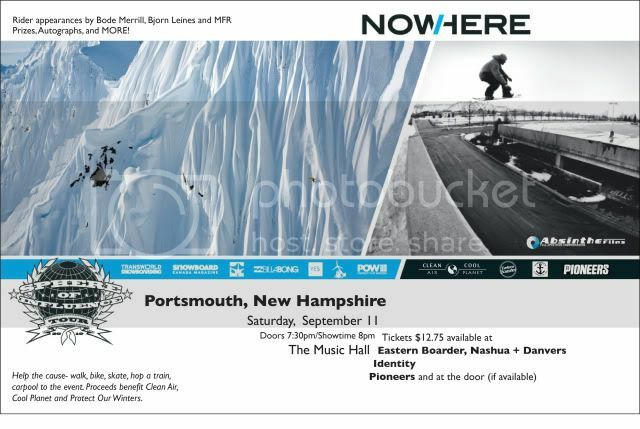 Absinthe Films will be stopping in New England on their Sphere of Influence Tour to premiere their new video NowHere. Bode Merrill, Bjorn Leines and MFR will be there signing autographs and hanging out. There will also be some product up for grabs. Tickets are $12.75 and are available now at Eastern Boarder Danvers, Eastern Boarder in Nashua, Pioneers, and Identity. Stay tuned for info on the after party. They are also doing a premiere in Boston at Coolidge Corner. Tickets for that are available at our Natick store.